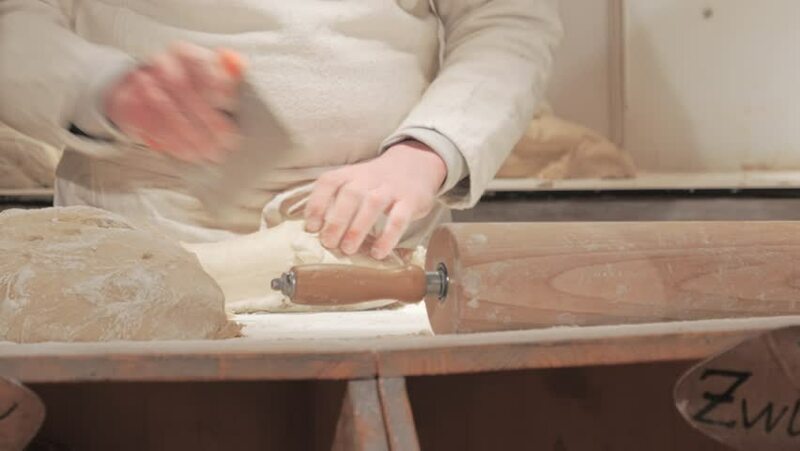 Wooden rolling pin and dough on table. Cook working with dough. 4k00:27Close up shot of man hands making breads from the dough in the modern bakery background.